It’s no longer a hassle to schedule labs in the Youngstown area thanks to YO LAB, a new medical training lab created to aid in the furthering of education of medical professionals in the area. 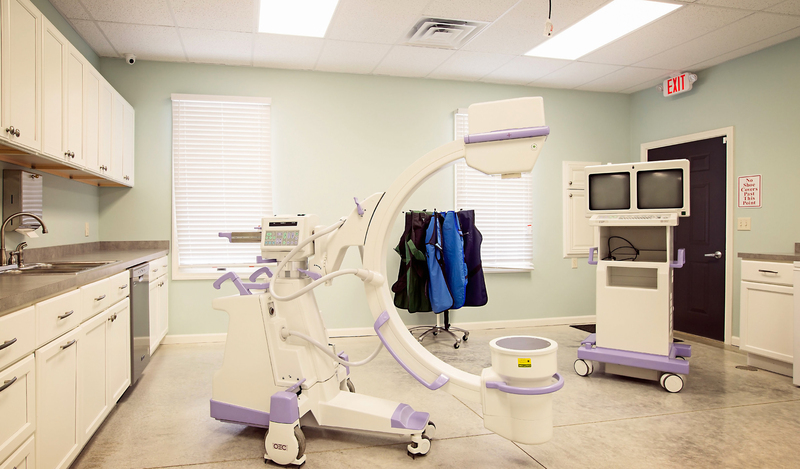 The facility includes a fully functioning lab, where participants practice on fresh-frozen cadavers. Other areas of the bioskills facility include showers, restrooms, men and women’s locker rooms, three treatment centers and a lecture room. The space is rented out by different professional medical companies seeking to further their employees’ education. It is typically operated after work hours, so participants are able to practice after they get off from their jobs. Sales representatives are also welcome to rent out the space to demonstrate their product. Maura Maloney DiDomenico, owner and managing director of YO LAB, said her husband, a podiatrist, mentioned there were no bioskills training facilities anywhere between Cleveland, Ohio and Pittsburgh, Pa., making it inconvenient for working medical professionals to attend labs. With a large medical community in the Youngstown area, DiDomenico said there is an insufficient amount of support on the educational side of the field. “We thought there was a need in our community so we took the plunge,” she said. DiDomenico took on the administrative side of the business while her husband handled the day-to-day operations of the laboratory. Dr. Justin Rivera, a three-year resident who works for DiDomenico’s husband, said working for him makes it easier to access the facility and practice his skills more frequently. Rivera said he has also had the opportunity to rekindle with medical residents who he had gotten to know in school through YO LAB. Diana Carpenter, a lab assistant at YO LAB, said the most fascinating aspect of her job is she gets to watch all the behind-the-scenes action that happens at the lab. “I get to meet the residents and build a relationship with the sales reps, all the while getting to stand back and watch all the action,” Carpenter said. This “action” includes witnessing surgical training, product marketing demonstrations and medical treatments. DiDomenico said she sometimes thinks how it must be for residents to go into the operating room and expect to know what they’re doing despite their limited exposure to surgical techniques and medical equipment. “I’m happy we can provide something, and I hope it’s more heavily utilized because I think it really does offer a significant amount of exposure that’s desperately needed here,” she said. DiDomenico said the bioskills lab has not worked with Youngstown State University yet, but is highly interested in creating a partnership. “What underlies our whole mission at YO LAB is a passion for academics and a love for this community,” she said. For more information about YO LAB and how to rent out their space, contact Didomenico at (330) 953-3222 or visit their website at yolabmed.com.